Christ Lommers Vleesveredeling is a family business that can count on years of experience in the highly specialised deboning of pigs’ legs. 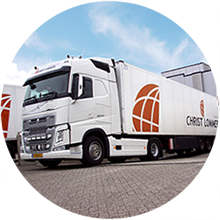 We supply our premium products to a range of Dutch and international clients for further processing. We are a modern company and believe in consistently taking quality and efficiency in our age-old craft to the next level. We adhere to strict hygiene and quality assurance procedures that enable us to keep tight control of our entire production process – from the moment raw materials enter our location to the delivery of our finished product to the client. Because of this, our clients are always assured of the highest quality product. Over the years, this has allowed us to build up a solid and reliable customer base. Our modern fleet enables us to guarantee ‘just in time’ deliveries.